Before we even completed our 2016 Halloween The Force Awakens costumes the kids decided that in 2017 we were going back to the classics: namely Hoth! Twice the Hoth Chocolate. Swede! 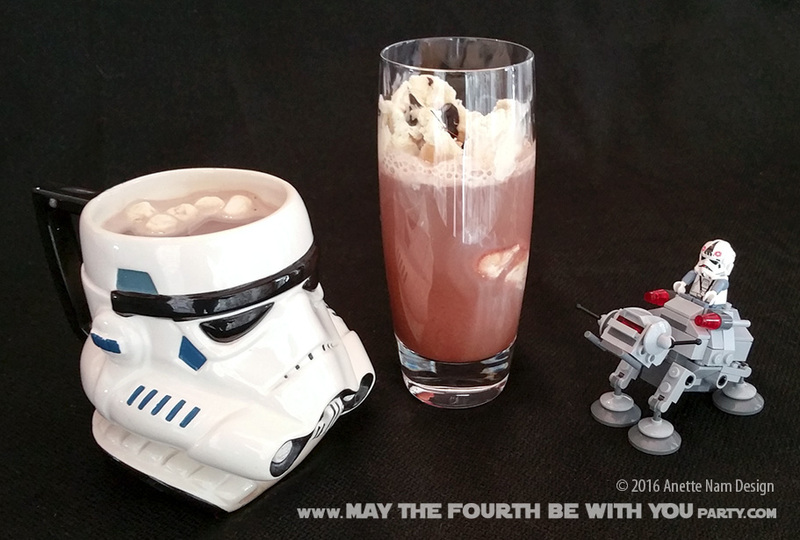 Should Hoth Chocolate be served Hot or Cold? Hot, because it is a pun, and the people here at M4P are awfully fond of puns? Or cold, because, well, everything on Hoth is frozen? An internal M4P poll came out divided (3 to 2 in favor of Hot). So we ended up making both: a Hot(h) version, AND a cold Hoth-like version. Both simple, yummy, and made with a secret Swedish ingredient. 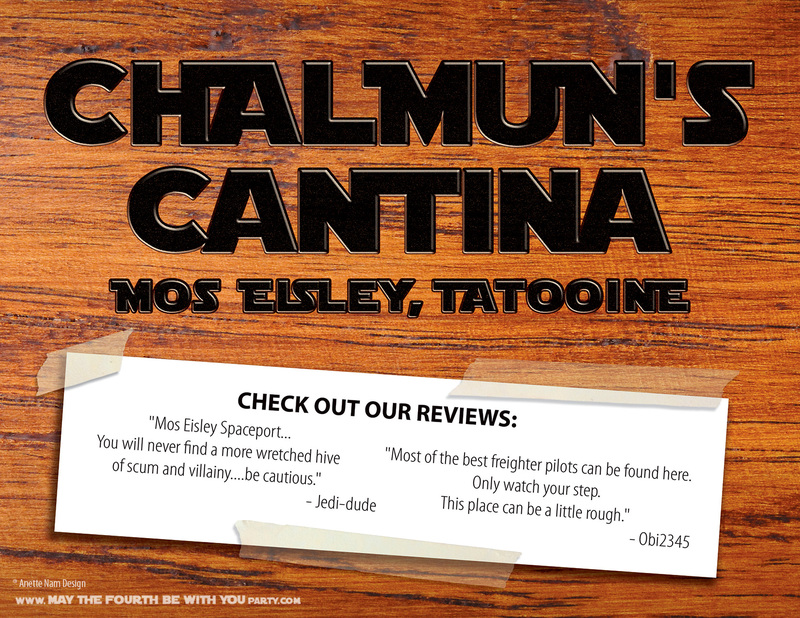 No proper Star Wars party should be without a Star Wars Cantina or Chalmun’s Cantina, as it is actually called. Cos-play can be serious work, and lots of costumes are really warm (just ask my daughter after wearing her Chewie costume for 4 hours). So you need to make sure your guests are well hydrated. Just promise that all lightsabers are checked at the entrance – we suspect all your guests will want to leave with all their limbs intact.